We all deserve to relax and get pampered—and what better way to do this than by using our sauna? Not only do saunas increase the heartbeat and improve circulation, they also have their own individual health benefits. The heat from a sauna soothes your nerve endings and warms and relaxes muscles, in turn relieving the tension from your body and minimizing joint pain. Saunas can be used as a means of calming the body and relieving it of stress. The heat from the sauna helps the body release endorphins, a feel-good chemical that reduces the effects of stress on the body which can relax you enough to sleep better. 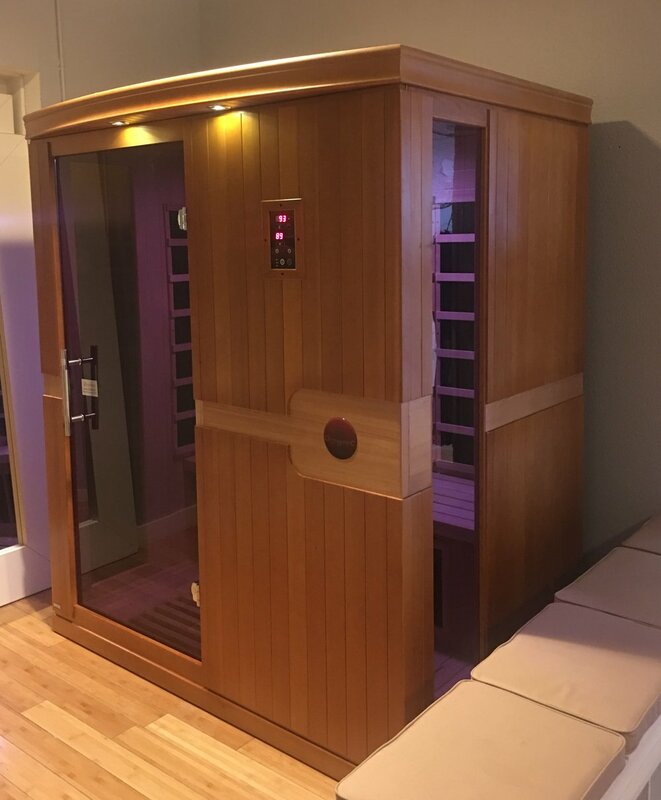 The sauna heats up your body, so when you leave and begin to cool down, your body releases increased levels of melatonin, helping you feel more relaxed and therefore allowing you to have a deeper sleep. The sauna causes you to sweat, which means that your body is losing water. As water makes up a large part of your body weight, the emission of the sweat will help you burn calories, causing you to lose a few pounds. The sweat also helps to remove toxins and cleanses the body. It is great for easing sore muscles, muscle relaxation and lowering blood pressure and helps with overall detoxification of the body. It not only relaxes the mind and body, but can help with illnesses and decreases stress levels. In our efforts to offer you fitness and overall wellness, we are happy to add this additional amenity to the studio to help you achieve the total mind, body, spirit experience.